Pure Evil was born in South Wales and studied fashion and graphics in London. In the past five years he has exhibited worldwide in China, Russia, Mongolia, Brazil, USA, and all over Europe. He produces a monthly radio show and regularly gives workshops and participates in lectures about street art. Pure Evil was born in South Wales and studied fashion and graphics in London. After finishing he went to live in California to avoid the ruins of Thatcher’s Britain. In the early 90’s he was living on the West Coast and working as one of the designers for a clothing label called Anarchic Adjustment. He was producing screen-printed t-shirt graphics and became involved in the electronic music scene in San Francisco. Pure Evil fell in with the people behind Banksy’s Santas Ghetto and started producing dark new prints and artwork. In the past five years he has exhibited worldwide in China, Russia, Mongolia, Brazil, USA, and all over Europe. He produces a monthly radio show and regularly gives workshops and participates in lectures about street art. 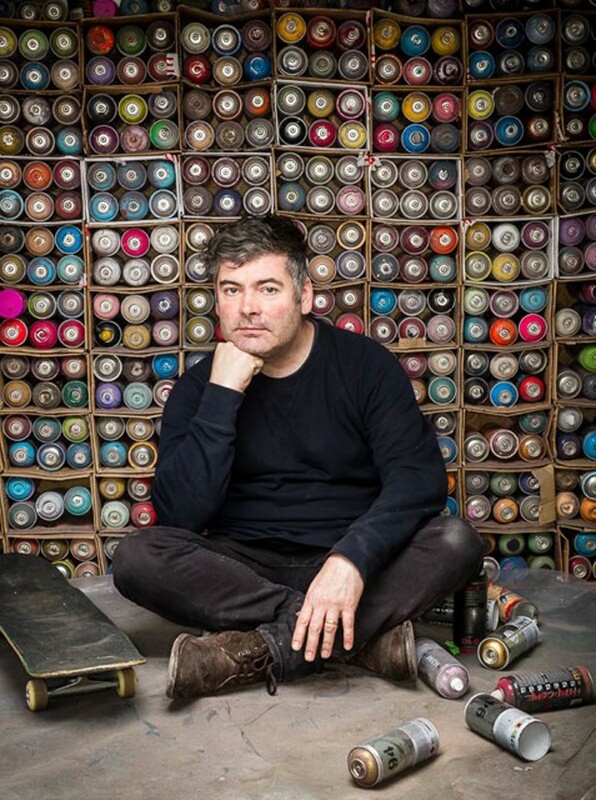 In May 2012 Pure Evil appeared on the prime time BBC TV show The Apprentice, where he took part in an urban art task, this led to a huge increase in interest for his work.ﾠFor the duration of 2014 Pure Evil has embarked on ambitious project, 365 Street Art, where he painted, stenciled or pasted up something up in public everyday for a year. Regularly posting photos on his Instagram, Pure Evil often leaves pieces of art as street drops for his loyal following to search for in a game of interactive hide and seek.